Grants are the funds that you do not need to repay for the intended purpose. For instance, students take grants or get scholarship, which they can be utilized for further education and do not need to repay the amount. Subsidy is a form of funding that includes, tax relaxation, direct payments, management costs, etc., which is provided by government to the businesses. In different countries, subsidies can also vary as per government policies. 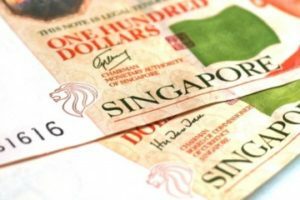 We at, Singapore Incorporation Services Pte., Ltd., provide assistance to the employers or companies in Singapore in order to claim their grants, subsidies and following grant criteria to get benefit of them. We enable our patrons to know about their grants and subsidy rights to avail them for business to save money and earn more profits. Note: Our fees for Government grant and subsidies may range from $180 depending upon type of government grant. Productivity and Innovation (PIC) is the scheme that was launched by Inland Revenue Authority of Singapore (IRAS) in order to persuade productivity and innovation activities in Singapore. This scheme is designed to provide with great support to the businesses that want to contribute to the economy and improve productivity of the country as well. The PIC is suitable for companies in Singapore, which deals in IT sector. The eligible IT companies in Singapore should take advantage of PIC activities or schemes proposed by the government. For all above activities, you must have to have enough annual expenses and should be applicable for PIC during qualifying year. You must have to have at least 3 local employees or Singaporean or have Permanent Residents, who should be active in their respective CPF contributions. Innovation and capability voucher is an awarded fund of $5000 that is given to the small and mid size enterprises for providing aid to low level businesses in managing their operations, establishment, and other corporate activities too. ICV enables the enterprises to improve in their productivity, human resource, finance, and other departments to get on the track. The ICV is suitable for those companies, which are planning to spend on productivity solutions or consultancy projects. Avail up to 70% of costs for approved projects. Grant will be provided for the projects, which have not started yet. The annual sales turnover of Group should be less than or equal to S$100 million or group employment of maximum 200 employees. What is Market Reading Assistance Grant (MRA)? The Marketing Reading Assistance (MRA) Grant is a vital way for small and mid size businesses to take their ventures at international standard. So, if you want to give global level visibility to your small business, MRA grant can be an ideal option to make it possible for you. Marketing Reading Assistance grant is a perfect funding plan for eligible businesses, which are seeking for international presence or want to grow at global level. The cost of activities for 70% qualifying companies is capped up to S$ 20,000 for every financial year. There can be maximum two applications applied for every financial year starting from 1 April to and ending on 31 March of the following year. Small and mid size business (SMEs) should have annual turnover up to S$100 million that should be based upon recent audit report of companies. What is Age Management Grant (AMG)? This sort of grant enables employers to raise awareness of good age management practice for employees and create an age-friendly environment for them. It also allows employers to incorporate their older employees within organizations and take advantage of their experiences for the business. The limit of Age Management Grant is applicable up to S$20,000 per company. Can organize two out of six age management events for employees. Providing mandatory age management training program to attend. Organizing a health management program too. Timely management of records of age profiles of employees. You may not have received finance under the first edition of WorkPro (April 2013 to 30 June 2016) for Age Management Grant and Work-Life Grant. What is Job Redesign (JR) Grant? The Job Redesign Grant is the fund that is designed for helping companies to empower their older workers (above age 50 years) to create physically easier, safer and reliable jobs for them. However, it will also help employers to improve their working environment or work process in the companies as well by retaining their senior staff members. Job Redesigning (JR) Grant is suitable for all eligible companies. This funding is applicable up to S$300,000 per company. It allows companies to file applications for multiple projects too. Funding up to S$150,000 for JR projects is designed to target the aged workers i.e. more than 40 years, who are economically weak. This Work-Life Grant lets employers to provide with a suitable and flexible work arrangement (FWAs) or workplace to the employees to manage their work requirements or needs in the company. This grant is applicable for all eligible companies, which are intending to adopt FWAs for their employees. Organize the flexible work arrangement (FWA) pilot through 6 simple steps for implementing rule of FWA in the company. Implement the pilot FWAs in the HR policies of the company and also tell about it to the staff. The idea of co-funding involves the work-life consultancy, work-life training, IT infrastructure for FAWs and rest of the employee empowerment plans. Note: Flexible Work Arrangements (FWAs) Incentives: The funding of this grant is applicable up to S$ 120,000 for over three years. You will get at least 30% FWA utilization for three years. What is Micro Loan Program (MLP)? The Micro Loan Program (MLP) is the Singapore funding scheme designed for local or small and mid size businesses to get loan for their daily operations and purchasing new equipment or other arranging other facilities for the business. The estimated loan amount of MLP is up to S$100,000 having repayment period for four years. You can avail fund for daily operations, buying and upgrading equipment of factory, etc. Company should legal or registered as well as operative in Singapore. Make sure the company has annual turnover less than or equal to S$ 1 million and has employees or workforce up to 10 employees at least. Companies having group should have turnover to be less than or equal to S$100 million along with group workforce should be maximum 200 employees.